Originals of these machetes are rarely seen. 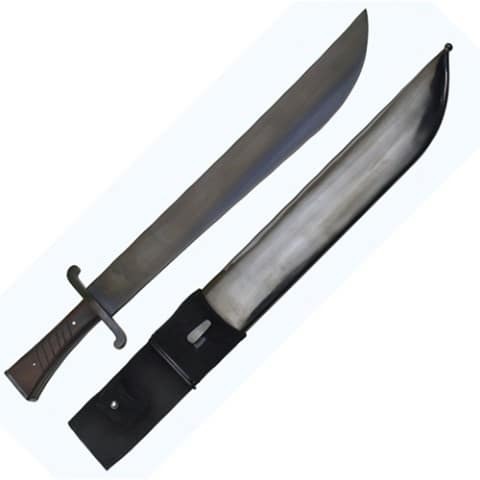 WWII German Luftwaffe Survival machete used primarily by bomber crews on the Eastern Front. Blade made from 1095 high carbon steel, computer tempered and holds a sharp edge. Dark finished hardwood scales pinned in place. 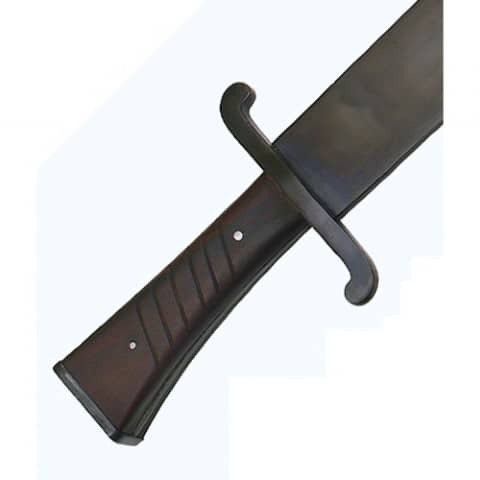 All metal, including sheath, is deeply blued. Black canvas frog fits belts up to 7cm wide.